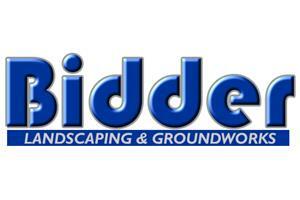 Bidder Landscaping & Groundworks - Builder, Driveways/Patios/Paths, Fencing/Gates, Hire Services, Landscaper based in New Haw, Surrey. Established in 2008, we provide a professional and personal landscaping service at a competitive price to customers in Surrey and surrounding areas. We specialise in block driveways and paving but also carry out fencing, decking, drainage & brickwork, all completed to an extremely high standard. In the past we have worked on a variation of properties and will happily undertake work on all sectors of the domestic market, but can also offer our services to the commercial customer too. I consider ourselves to be professional, friendly and reliable, taking pride in the work that we carry out and care in your garden or grounds. We wear uniforms and have professionally sign written vans, showing how serious we take our work. Contact Tom to discuss your requirements and for no obligation advise.